To help you see what the sum of all exterior angles of a polygon is, we will use a square and then a pentagon. 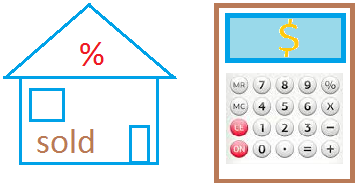 Since it is very easy to see what the sum is for a square, we will start with the square. Notice that an exterior angle is formed by a side of the square and an extension of an adjacent side. 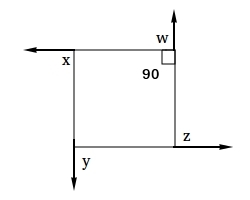 ﻿For example, x, y, z, and w are exterior angles. Each interior angle in a square is equal to 90 degrees. Notice that an interior angle plus ﻿the adjacent exterior angle is equal to 180 degrees. Interior angle + adjacent exterior angle = 180 degrees. Since there are 4 exterior angles, 4 x 90 = 360 degrees. To find the measure of the interior angle of a pentagon, we just need to use this formula. Again, Interior angle + adjacent exterior angle = 180 degrees. Since there are 5 exterior angles, 5 x 72 = 360 degrees. It does not matter how many sides the polygon has, the sum of all exterior angles of a polygon is always equal to 360 degrees.